We're taking a very quick one-night break in the Yarra Valley - a day to get away from the phone and relax. 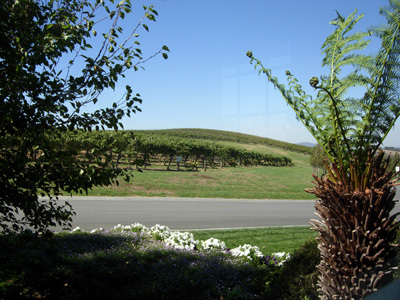 Our first stop before checking in at Chateau Yering is the restaurant at De Bortoli Winery. There is a choice of a la carte or a 4-course degustation ($65) - as soon as we here that magic word, our choice is easy. 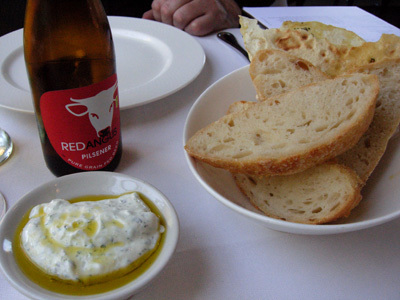 Served with good Italian styled bread is a mix of soft curd cheese and herbs. 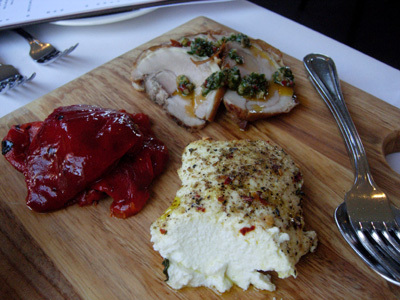 Our first course is antipasto - consisting of baked ricotta with herbs, grilled capsicum and slow roasted suckling pork. We took note of another offering heading to a nearby table - deep fried school prawns, which to our horror where being tackled with a knife and fork. For the love of food, it is positively sinful not to eat the whole thing. 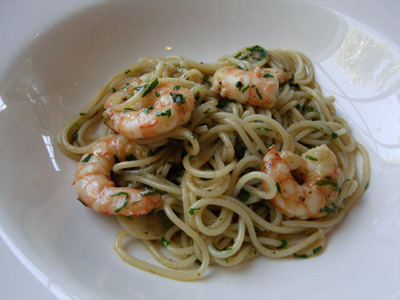 Spaghetti with Prawns, garlic and olive oil - juicy prawns with a pleasant level of garlic and excellent pasta, cooked correctly. Served in very much an Italian fashion, the meat course isn't overly large, the pasta course easily being the main course of the meal. 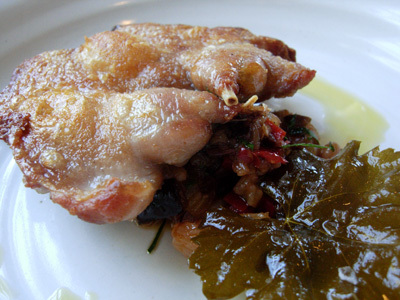 The quail was excellent - juicy and flavoursome. 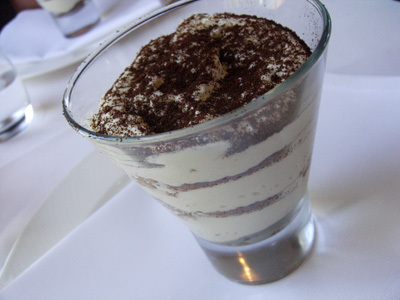 Tiramisu - a good version of a classic dessert.